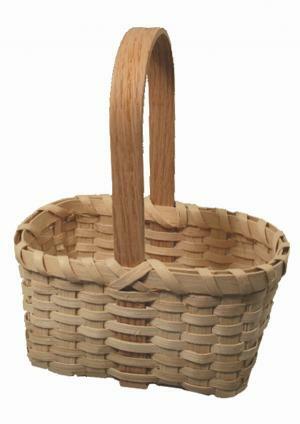 The Colonial Basket Kit is another excellent beginner's kit. It's perfect for your middle school or high school project on Colonial Living. Woven with 1/2" and 1/4" flat reed plus a 4x9" D handle. Measures 4 x 6" and 9" tall. Ages 12 and up.